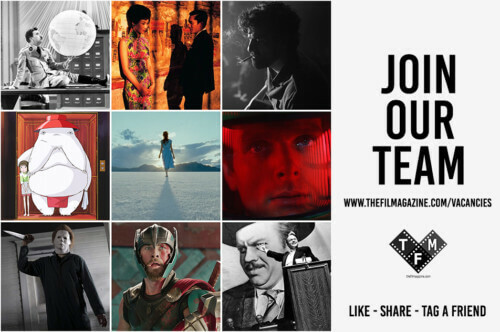 The 59th London Film Festival begins today, and with festival director Clare Stewart promising to address the massive difference in the number of male and female directors whose work is screened, championing the cause for female directors, producers and screenwriters, it seems only fitting that this year’s Opening Night Gala is the European premiere of Suffragette, taking place tonight in Leicester Square. Directed by BAFTA nominated filmmaker The Honourable Sarah Gavron (Village at the End of the World, 2013), Suffragette is the first ever feature film to document the story of the ordinary British women who at the turn of the twentieth century fought for equality and the right for all women to vote, risking everything in the process. 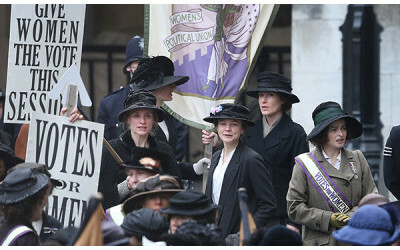 And, with the kind permission of British MPs, Suffragette achieved another film first in that it is the first film in history to be filmed inside the Houses of Parliament. In keeping with this year’s festival being declared by the programme team as the ‘year of strong women’, both cast and crew is led by woman. Sarah Gavron has once again teamed up with screenwriter Abi Morgan (The Iron Lady, 2011) and producer Alison Owen, (The Other Boyeln Girl, 2008) the trio previously worked together on the BAFTA and BIFA nominated Brick Lane (2007). 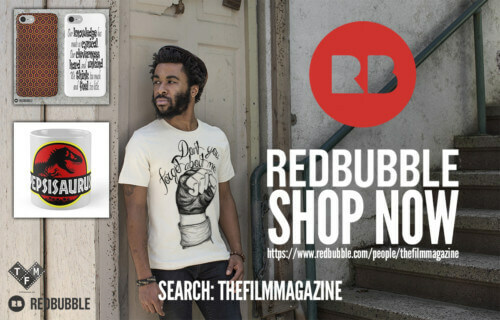 The stellar cast is lead by Carey Mulligan as Maud, an everyday woman who works long, hard hours at the same factory job she has had since she was just a girl, her only comforts are her husband and young son. Maud’s friendship with fellow worker and activist Violet (Anne-Marie Duff) fuels her sense of injustice and spurs her on to join the suffrage cause, under the leadership Emmeline Pankhurst, brought back to life by the legendary Meryl Streep, who unites these women as they face rejection, isolation and all kinds of risks in the fight for equality. 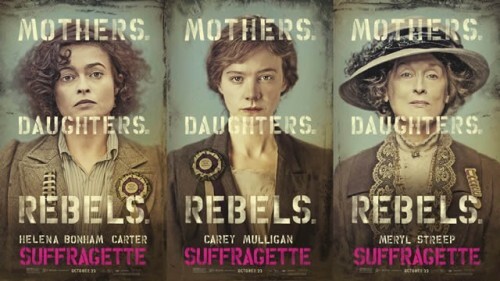 Gavron and Morgan pay a spectacular, compelling tribute to the women that history remembers as part of the suffrage movement, such as Pankhurst, Edith New (Helena Bonham-Carter) and Emily Davison (Natalie Press). While at the same time focusing on women like Maud and Violet, the everyday women who fought and suffered for the rights of women, the women whose names have been forgotten but whose actions and achievements never will be. Suffragette is a must see film about British women, made by British women, for everyone, everywhere, because what is equality, if not for everyone, everywhere?